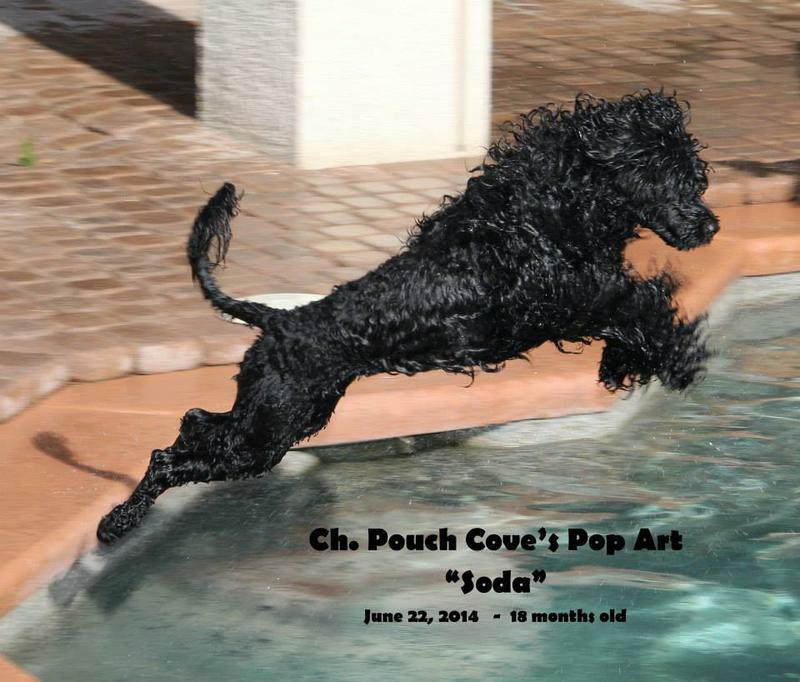 Soda has retired and is living with my niece and nephew! GM-1: Normal OptiGen: Carrier JDCM: 1:1 IC13: Normal HEIGHT: 20"
and her mother ("Soda") as her call name! 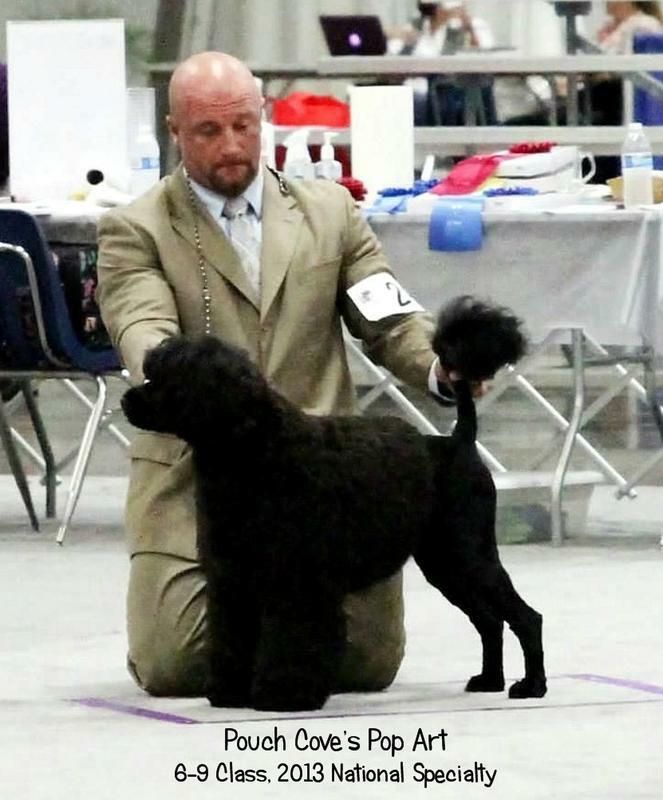 A young girl with a fun loving,silly, "I love everyone" temperament, "Soda" joined our family in the fall of 2013 after spending her early childhood with her breeders in New Jersey and learning to be a show dog with handlers Colton and Heather Johnson in Colorado. 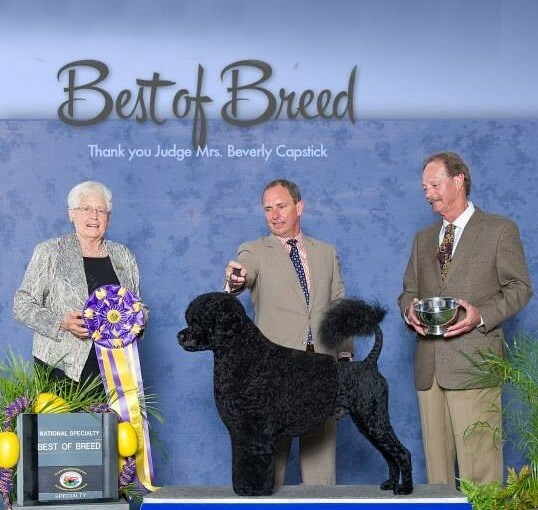 I think it's a good thing she's a dog, because otherwise she might be feeling a whole lot of pressure to "live up" to what her parents and grandparents have already accomplished in the show ring! 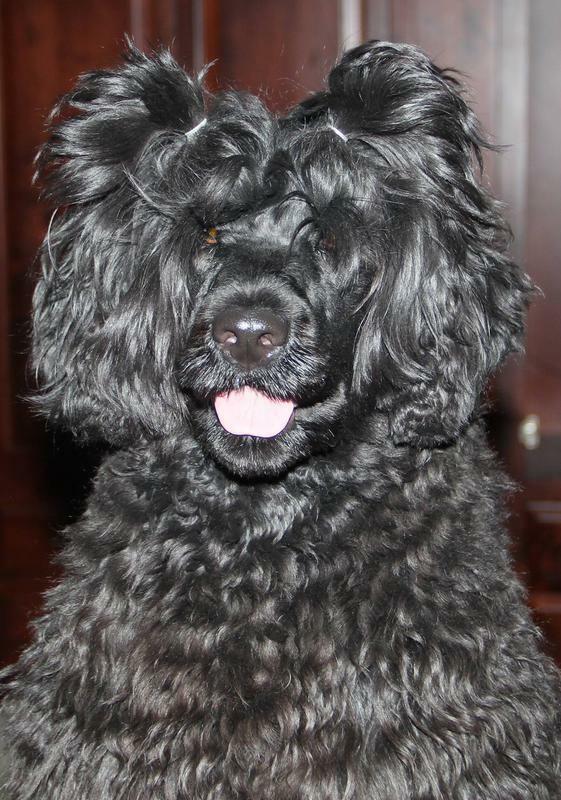 Her pedigree is truly a list of the current "Who's Who in PWDs." 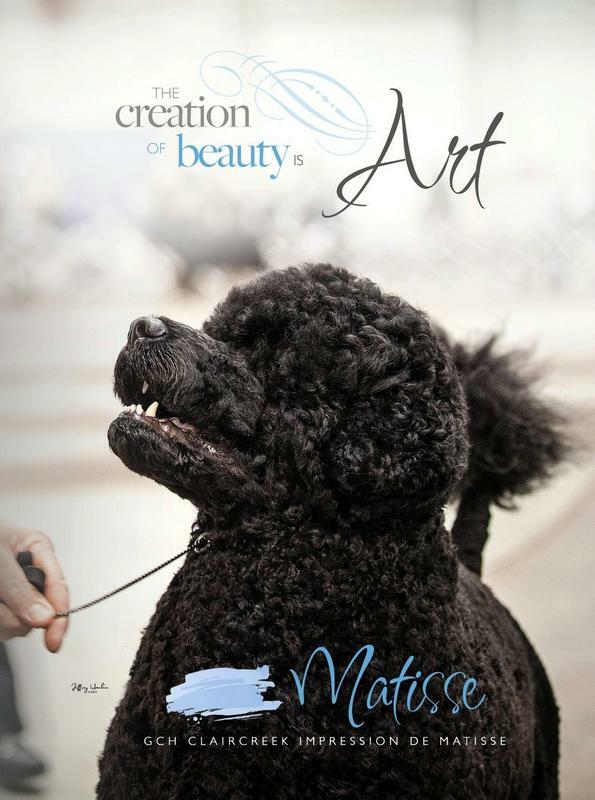 A daughter of the trail-blazing "Matisse" - - MBIS MBISS GCH. 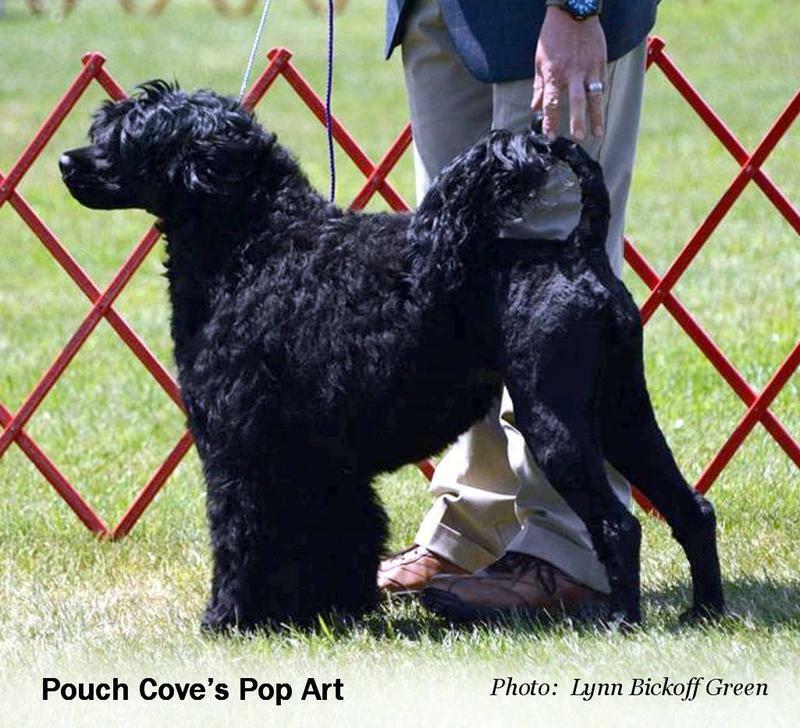 Claircreek Impression de Matisse - - The 2013 & 2014 Show Dog of the Year (earned by winning more Best in Shows than any other dog last year! 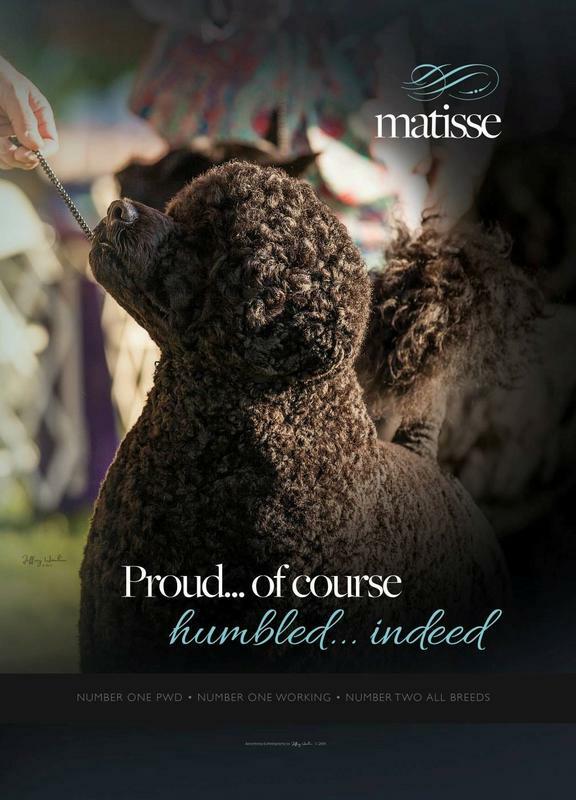 ), Matisse retired in February of 2015 as the Number One Male Show Dog - All Breeds - of ALL TIME with a record 238 All Breed Bests in Show. 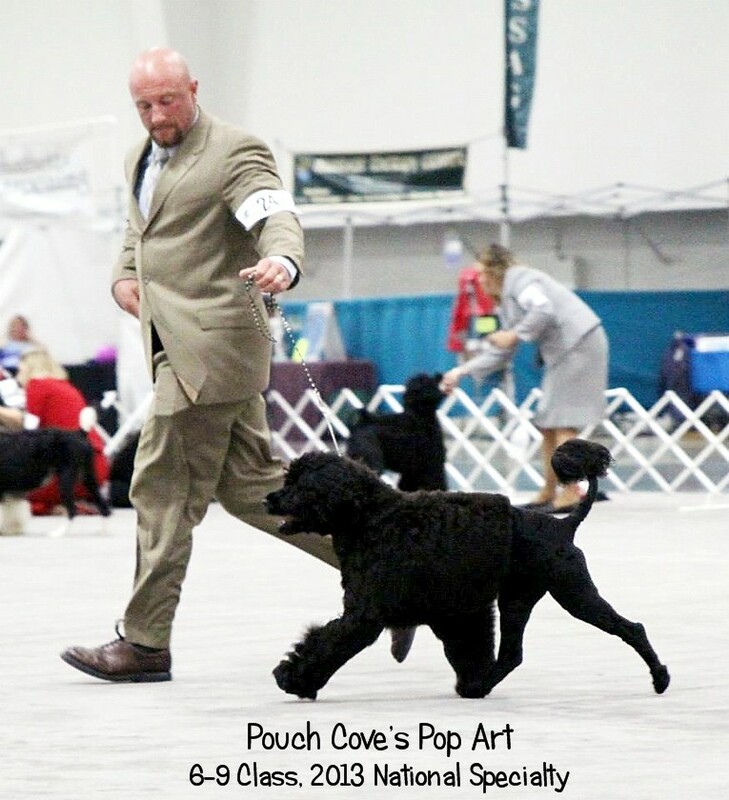 He also won the PWDCA National Specialty in 2013 & 2014, and the Working Group at the esteemed Westminster Kennel Club three years in a row! 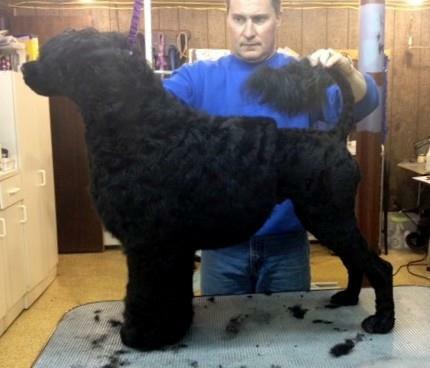 He amassed a truly phenomenal record that could very likely never be broken! 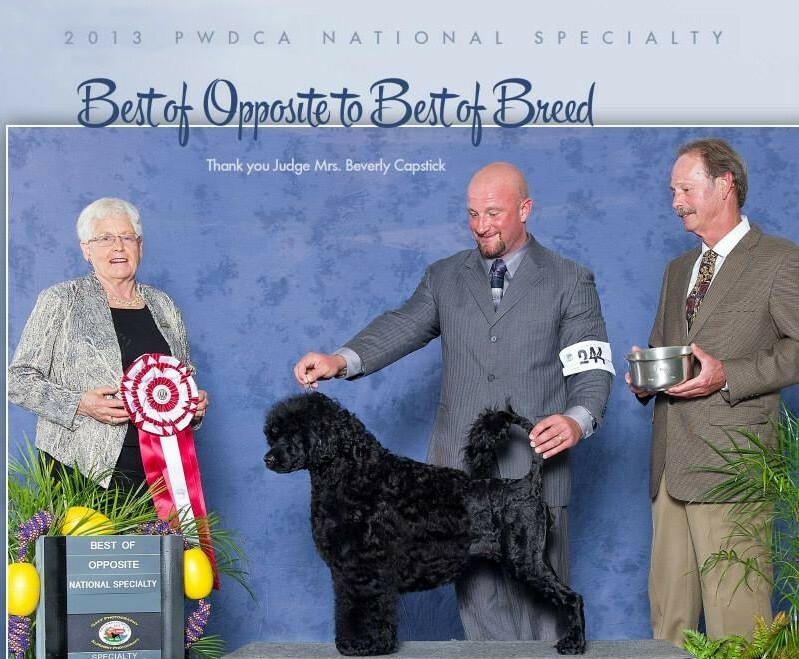 Soda's dam is BOSS GCH Del Sur's Pepsea Please, who was BOS at the 2013 PWDCA National Specialty, SEL at the 2012 PWDCA National Specialty and finished 2012 in the Top Ten. 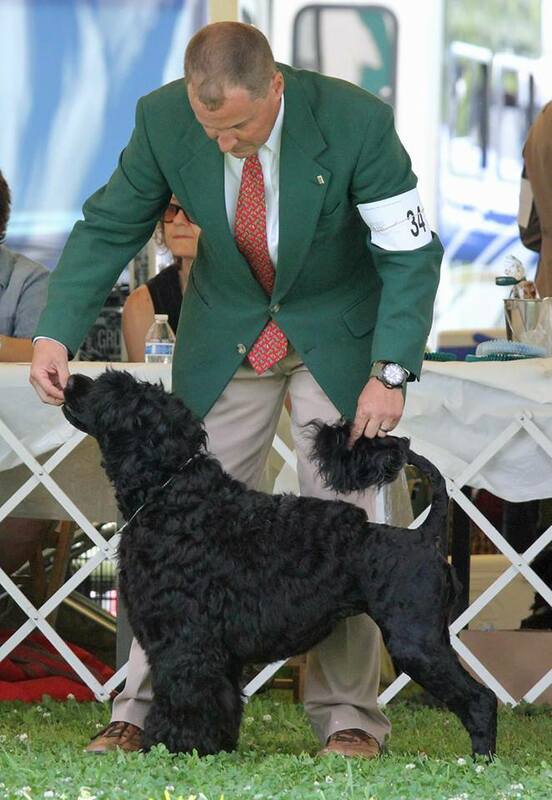 ("Pepsea" was also Best Senior in Futurity at the 2010 National Specialty - what an over-achiever!) 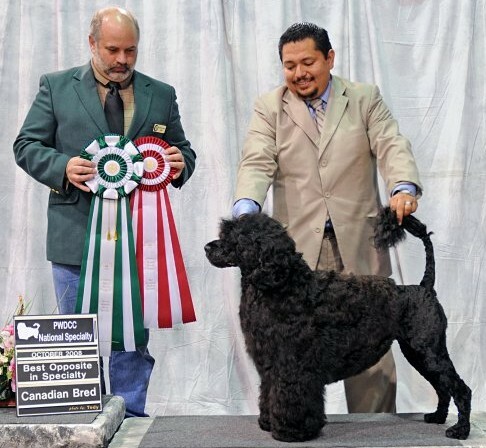 Soda's grandmother is the beautiful World Can Am Mex and Champion of the Americas CH Claircreek Femme Fatale, who was also a Group 1 Winner at the WORLD FCI Dog Show. 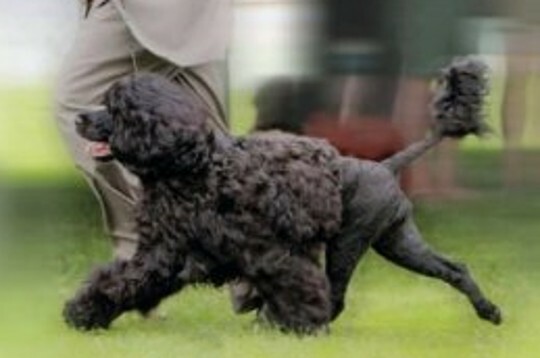 Other National Specialty winners in her pedigree include BISS Ch. 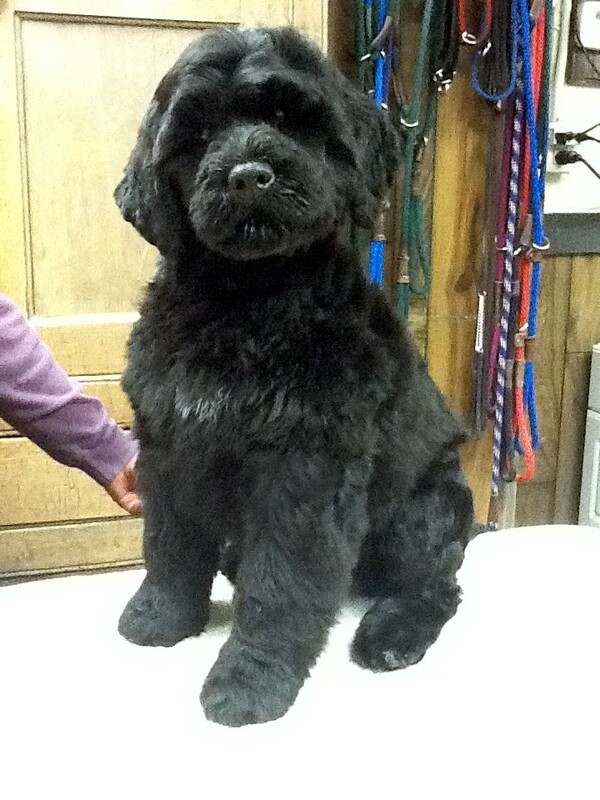 Pouch Cove's Monkey Business, BOSS Ch. 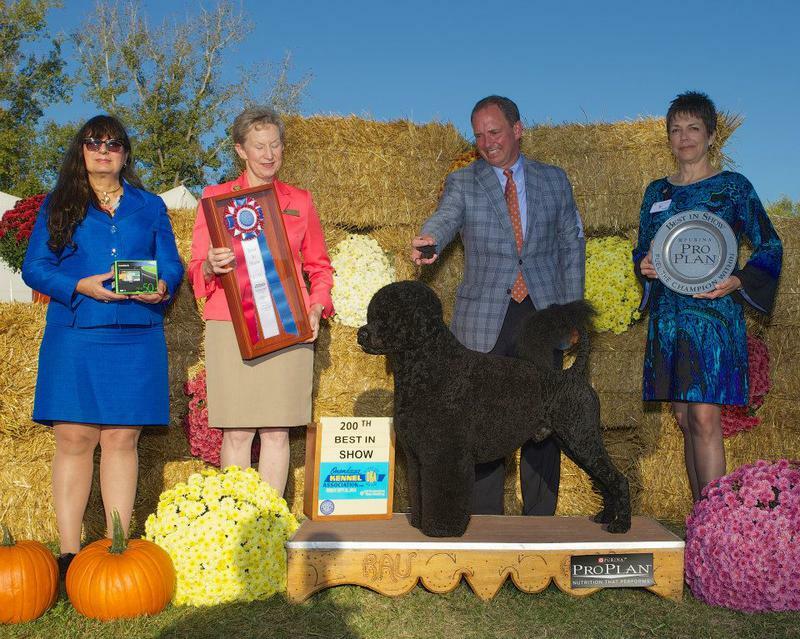 Akire Supa Chunky Monkey (dam of 10 champions), BISS Ch Del Sur's Makin' a Splash (dam of 10 champions) and BISS Ch Pinehaven Casablanca. 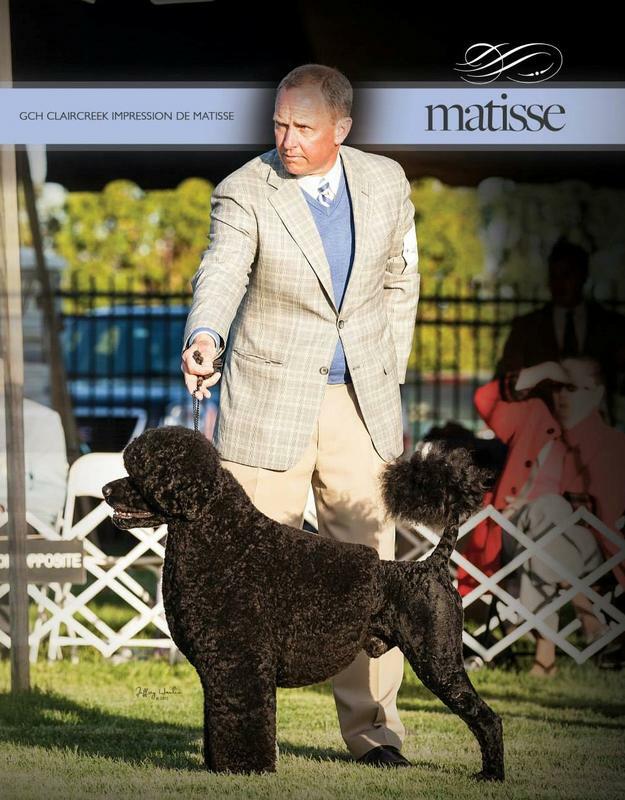 We would also be remiss if we did not mention the top producing stud dogs Ch Del Sur's Makin' All the Right Moves (the sire of 70 champions) and Ch. 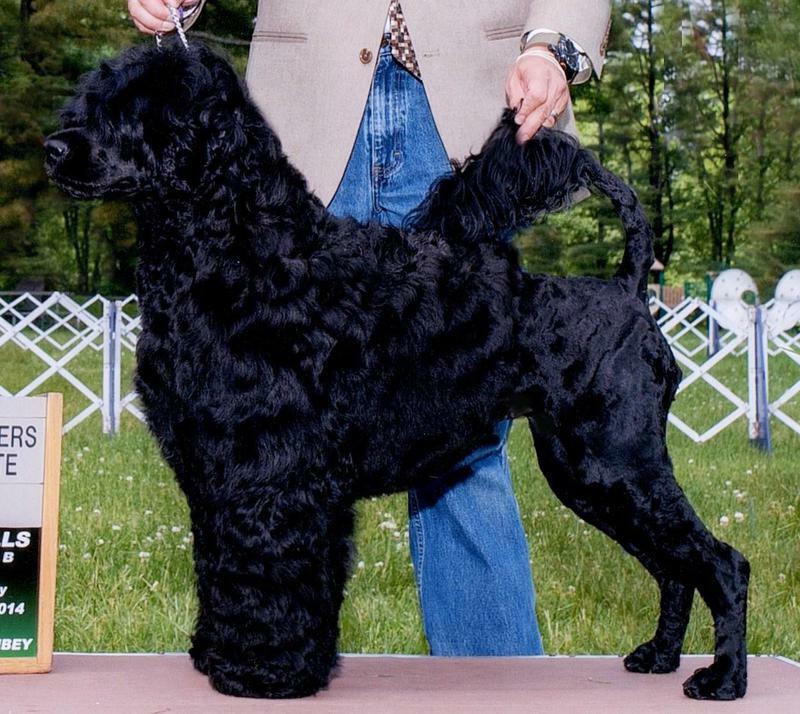 Sunnyhill Dom Benjamin (the sire of 50 champions). 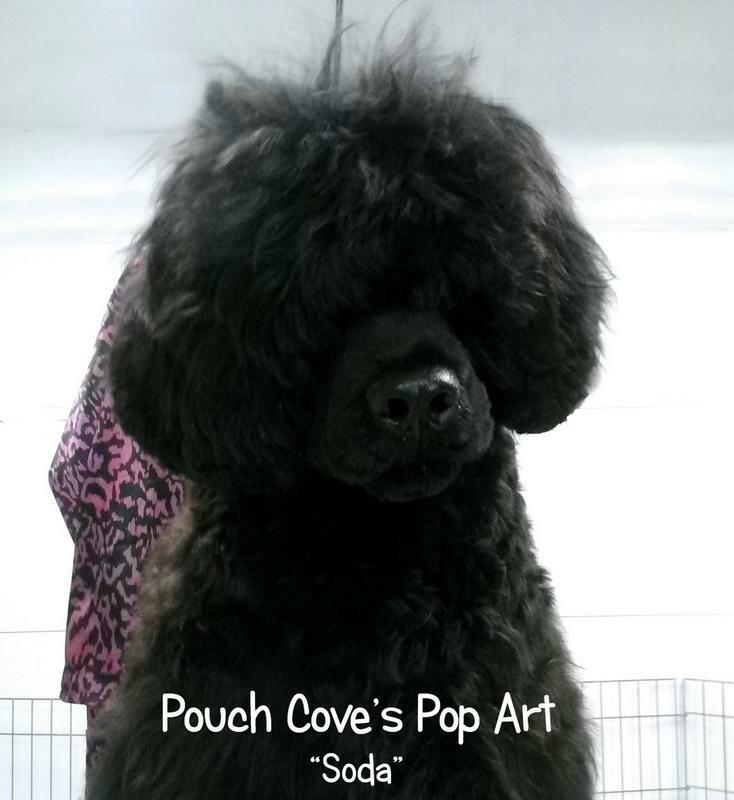 Special thanks to Milan Lint and Peggy Helming of Pouch Cove PWDs for entrusting "Soda" to us. 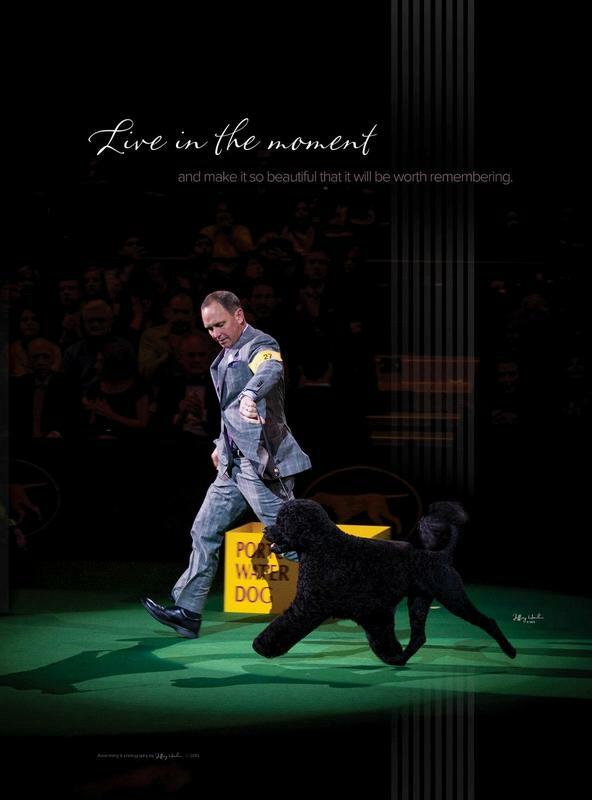 The Top Winning Male Show Dog - All Breeds - of ALL TIME! "Soda" finished her championship with two 5-point majors! 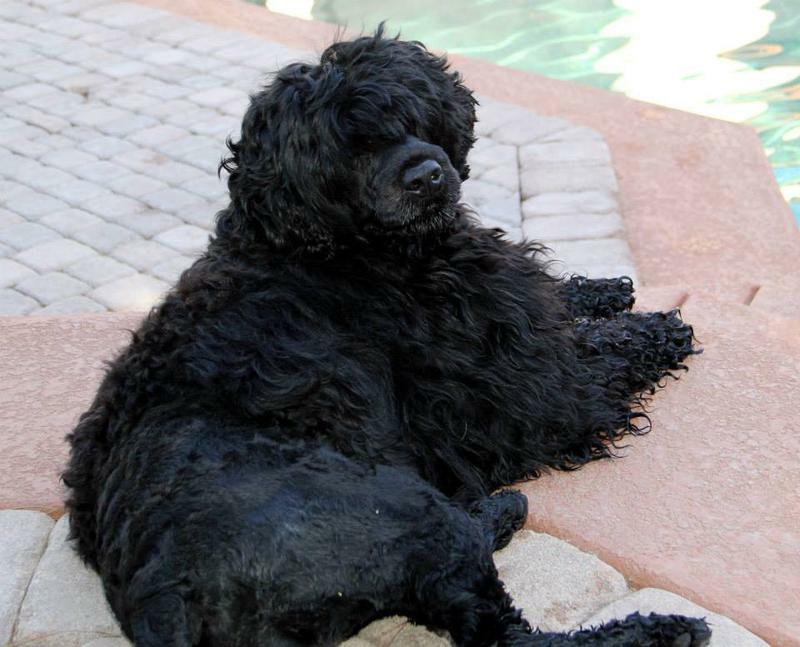 She is home in Las Vegas growing up and swimming to her hearts content! 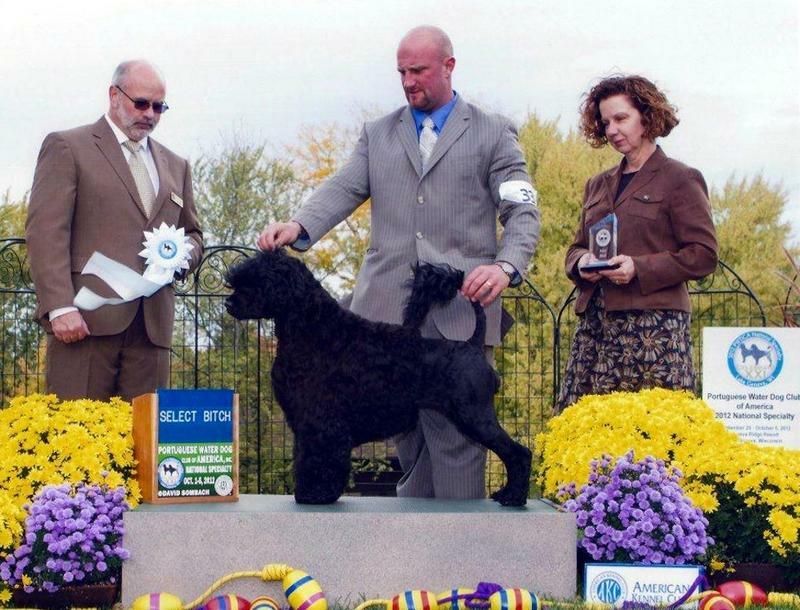 "Soda" was expertly conditioned, groomed and presented to her championship by Rick and Jenny Krieger of Sequel Showdogs of Charlton, Massachusetts. 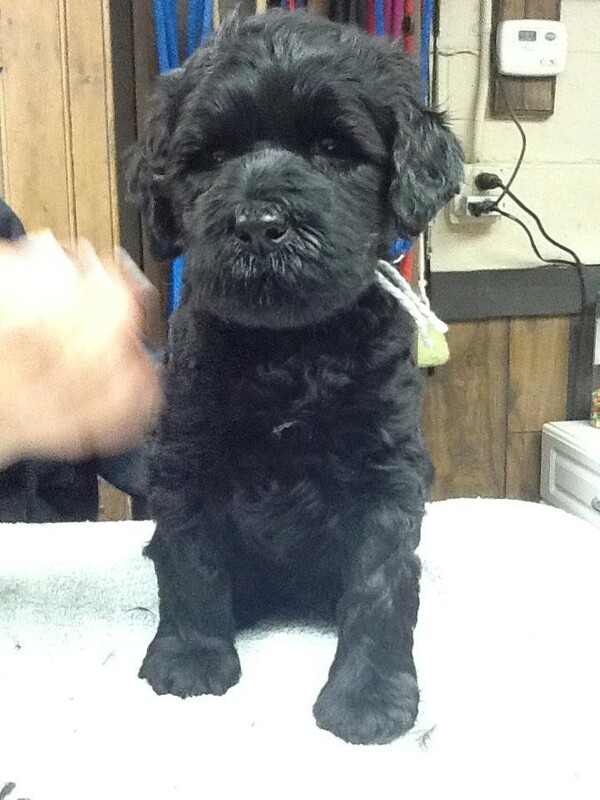 and enjoy pictures of her esteemed lineage!